As MPs head home for the backyard barbeque circuit, the Harper government has already turned its attention from omnibus bills to ominous economic clouds. Far from a sleepy summer, the Conservatives have a lot on their plate, Greg Weston writes. As the Commons fades to black, and MPs head home for summer on the backyard barbecue circuit, the Harper government has already turned its attention from omnibus bills to ominous economic clouds. The final day of the parliamentary sitting was marked with a muggy heat wave in the capital, and a final blast of hot air in the House of Commons. But the one political message that may have resonated with ordinary Canadians was a word of foreboding from Finance Minister Jim Flaherty. He announced a further tightening of home-mortgage lending rules for banks, warning that too many Canadian families are carrying too much personal debt, especially on houses and condominiums in a wildly escalating price spiral. Conservative insiders say the government's foremost economic fear is the fiscal crisis in Europe escalating to the point of triggering another international market crash, bursting the Canadian housing bubble. A sudden tanking of Canadian housing prices could leave potentially hundreds of thousands of over-indebted homeowners owing far more on their mortgages than their properties are worth, possibly plunging this country into a U.S.-style crisis of mass foreclosures. While there are no signs Flaherty is prepared to move more aggressively on consumer lending, a Conservative strategist says the European doomsday scenario, coupled with inevitably rising interest rates, "are certain to cast a shadow over the government's agenda going forward." Exactly what is going to be on that agenda when Parliament resumes in the fall is not entirely clear. The Conservatives spent the first year of majority government passing legislation they couldn't get through previous minority Parliaments — for example, scrapping the long-gun registry and the wheat board, and overhauling crime-and-punishment legislation. They passed new laws on immigration and copyright, and added 30 new ridings to the electoral map. Finally, the Conservatives gave a shrug to democratic process and passed hundreds of changes to dozens of laws in a single 425-page omnibus piece of legislation that critics aptly dubbed the "kitchen sink bill." All of which has left so little of consequence on the Conservatives' agenda that Prime Minister Stephen Harper will probably prorogue Parliament before the autumn sitting begins, a move that would wipe the legislative slate clean, and give the government the appearance of a fresh start in the fall. 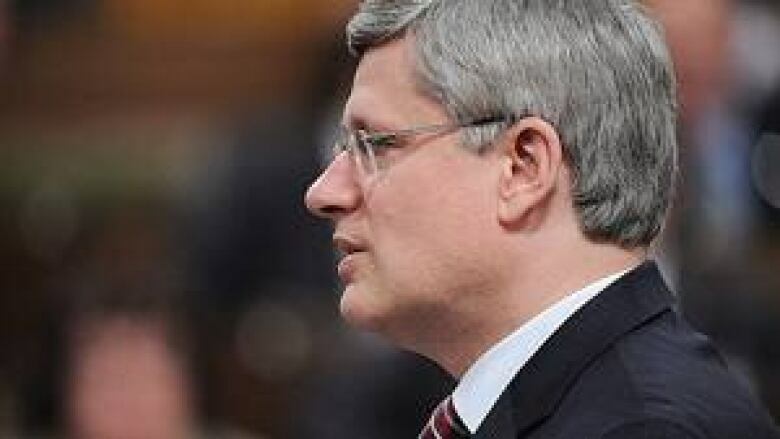 Conservative strategists are saying Harper is hitting the reset button. A cabinet shuffle. Sources say the prime minister wants to take July to decide how he wants to reshape his cabinet, including likely big moves for some problem ministers such as Bev Oda, Peter MacKay, Vic Toews and John Duncan. Shuffling senior bureaucrats. The Prime Minister's Office is apparently unhappy with several deputy ministers — the officials who really run the government — and getting rid of them will likely trigger job changes for a dozen or more of the others. There are also rumours that Wayne Wouters, the government's top bureaucrat and Harper's infinitely capable deputy, may be retiring, a potential big loss for the Conservative administration. Dropping a bomb on National Defence. The department of so much recent dysfunction is in for a major shakeup, starting at the top. Defence Minister MacKay is a shoo-in for a portfolio elsewhere. In the meantime, the country's top general, Walt Natynczyk, is due to take his final salute before the end of this month. The odds-on favourite to replace him is Andrew Leslie, a retired army lieutenant-general and author of a controversial plan to completely reshape the defence department. Whoever gets the job will have to fix a mismanaged procurement mess for just about every kind of equipment, from Canada's fleet of dud subs to those cost-crazy F-35 fighter jets. The fallout from government cuts. The impact of the government's latest austerity program will begin to bite by the time MPs return to their seats in the fall. The possibilities for political fireworks are almost endless — from controversy over axed public services to scandal-by-brown-envelope from disgruntled federal workers losing their jobs. The fine print of the "kitchen sink bill." The bureaucrats in many departments are in for a busy summer creating hundreds, perhaps even thousands, of regulations to go with all those new laws just passed in the government's omnibus budget bill. As the Commons reopens for the fall session, so many new federal rules are bound to become fresh fodder for opposition party attacks on the already controversial measures in the legislation. A new national energy strategy. Alberta Premier Alison Redford is likely to put some kind of initiative on the table when the premiers and territorial leaders meet in Halifax in July. The issue of who should get the spoils from Canada's resources has the potential to become politically explosive in Parliament, and regionally divisive between East and West. If nothing else, it will give NDP Leader Tom Mulcair endless opportunity to espouse his so-called "Dutch Disease" theory that the boom in Western resources has led to the bust in Eastern manufacturing. Elections Canada strikes back. The prime minister can shut down Parliament and open the Commons with a clean slate, but he can't wipe out the numerous investigations underway by the federal elections watchdog into the persistent "robocalls" controversy, and the most recent allegations of campaign financing irregularities aimed at Conservative MP Dean Del Mastro. The summer will only give investigators more time to conduct their various probes. Starting a national barnyard flap over chickens, eggs and milk. The Harper government's apparently burning desire to negotiate a new trade deal with Pacific Rim countries could put Canada's protectionist agriculture marketing boards on the bargaining table. The pastures of Quebec and Ontario are already alive with the sounds of farmers preparing to do political battle with the federal Conservatives. Of course, all the best laid plans of mice and politicians won't matter a hoot if Europe can't get its act together, and Canada is hit with another economic meltdown that puts homeowners in the poorhouse.